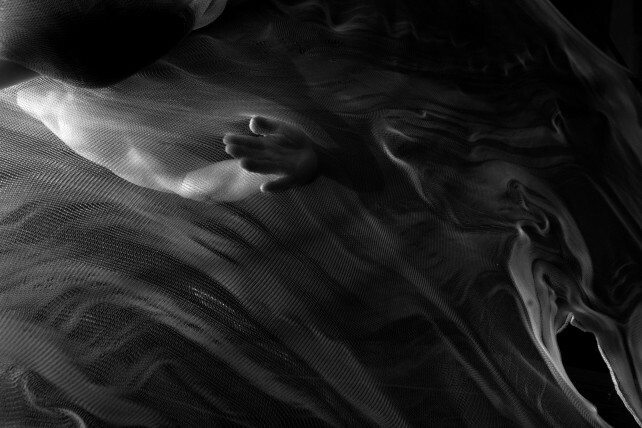 The generative video was a command by the company disorienta for the project strata. The dancer, Maria Donata D’Urso evolves slowly on a tensegrity structure, delimited by a morphogenesis membrane, a tissue, with a shape memory, created by Veronica Gross. 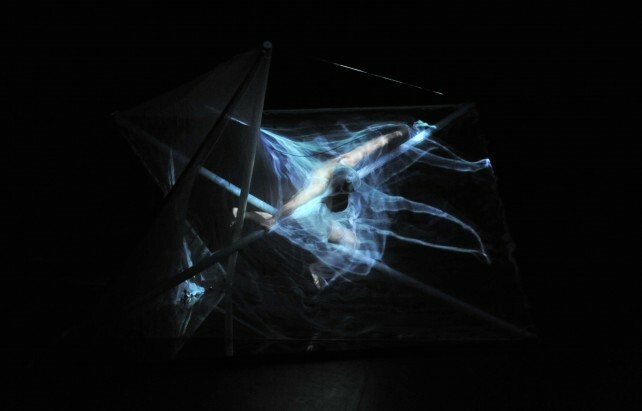 The generative and interactive video, created from a particle system in tension, an algorithmic reference to the tensegrity, is the only source of light in the first part of the show. 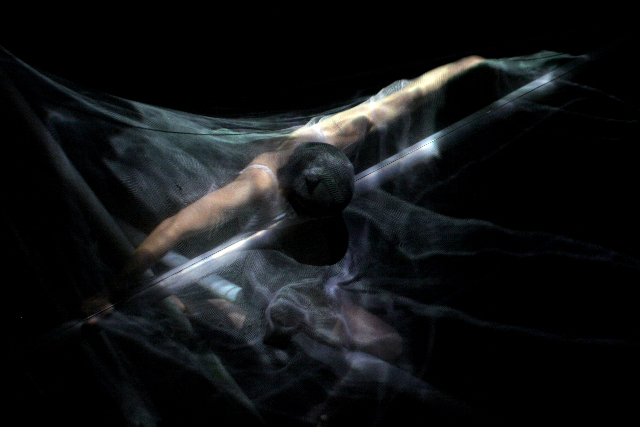 This light propagates gently on the tissue, which deforms with the structure, amplification of the dancer’s movement. 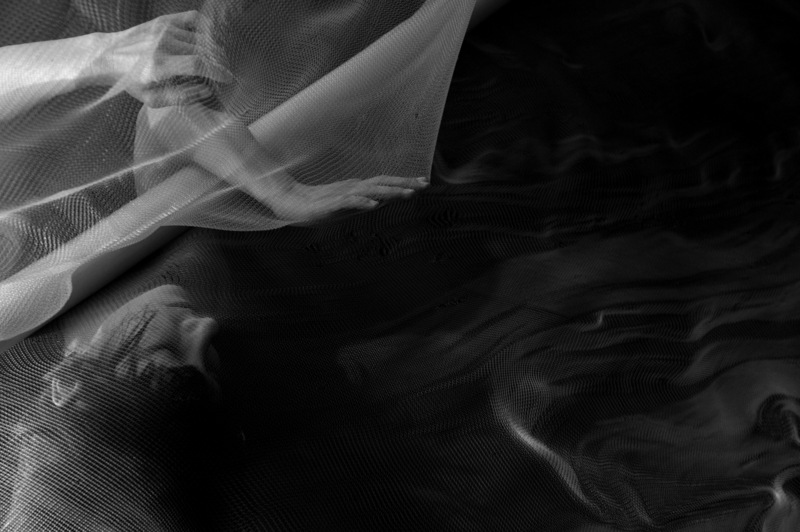 The body appears in this landscape of textile and light as something, which is organic and abstract at once.